Langtang Region Nepal is considered one of the most popular narrow mountain valleys at the base of central Himalaya. Located north of the Kathmandu Valley, the route goes through traditional and ethnic villages and virgin forests on the way to the peaks of Langtang-Lirung. The scenery here is spectacular, and the treks are more adventurous as the area is visited by a few numbers of tourists. The region is proud to have Nepal's first Himalayan National Park popularly known by Langtang National Park. 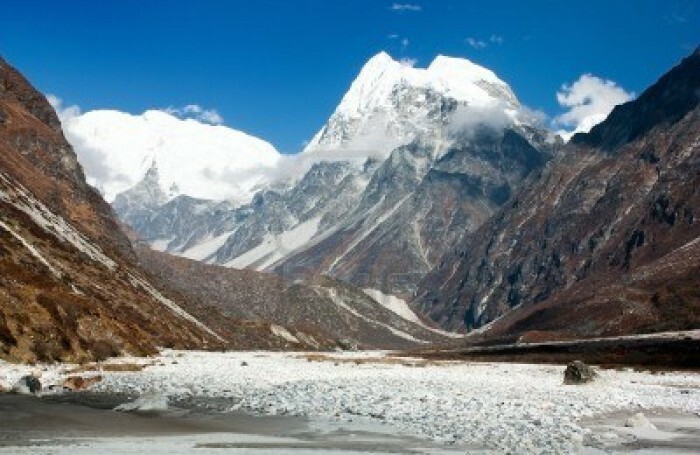 The Langtang valley provides opportunities to relax into local settlements and to study flora and fauna along the way. It offers wilderness experiences without being too taxing. Trekking to the Langtang region offers an opportunity to explore ethnic villages, oldest monasteries, small Peaks and glaciers at comfortably low elevations. People in this high and isolated region are of Tibetan origin and they follow Buddhism. There is no flight service like the other trekking regions. The trail head of Langtang trekking is Dhunche or Syabrubensi, easily accessible from Kathmandu by local bus or jeep. This short trek captures the essence of the landscapes and character of Nepal. Contouring along the northern side of the lower Langtang Valley, in view of the surrounding peaks, we trek among the villages and farmlands of its people, many of whom are of Tibetan origin. A wonderful walk through a naturalist's trail, Gosainkunda Lake Trek is a combination of beautiful treks taking us straight into some of the wildest and most picturesque areas of Nepal. Starting from the lovely hill town of Syabrubensi, our trek winds through beautiful and conifer forests, through the Langtang National Park on the way to the higher slopes. Helambu Trek is comparatively easier one due to the fact that the elevations are lower, ranging between 800m & 3600m, offering less climb as well as experiencing warmer temperatures. The most important benefit of this trek is that the area is less crowded & free from noise in comparison to the Annapurna trek and some parts of the Everest treks. Gosainkunda Helambu Trek allows you to trek in The Langtang-G osainkunda region is a collection of Sherpa Valleys north of Kathmandu, close to the Tibetan border. The rough road now reaches as far as Dhunche, only a day's drive from Kathmandu. Chumchet and Chhekampar are one of the most remote village development committees (VDCs) in Gorkha district. Despite having tremendous potential for tourism development, Tsum valley-as the area is called, was yet to reap benefits from its immense tourism prospects.